BreathScan detector .02% Tester is a screening device designed to determine the presence of 0.02% (0,2ï¿½) BAC or more. The BreathScan detector, a disposable breath alcohol indicator designed for one time use, provides an accurate measure of the alcohol present in the exhaled breath of the test subject. FDA Cleared. Breathscanï¿½ is a small portable breath alcohol detector. There are several different Breathscan devices (0.02%, 0.04%, 0.05%, 0.08% and 0.1%) to test different levels of breath-alcohol content (BAC). The device is very affordable and small enough to fit in your pocket. Breathscanï¿½ is the perfect gift to show someone you care. BreathScanï¿½ comes in five models to cover a variety of testing requirements. 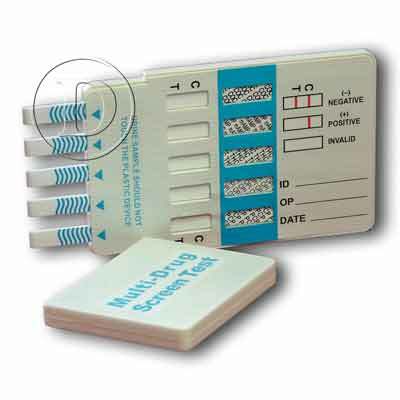 The .10% tester can detect the smallest trace of alcohol. 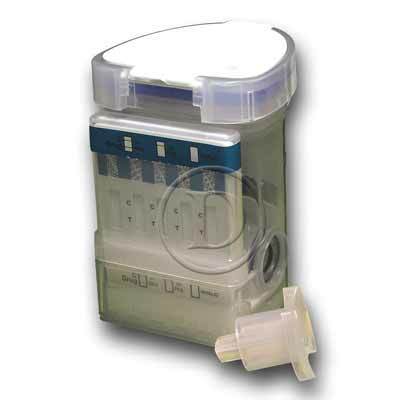 The .02% tester is useful for ensuring that operators of heavy machinery and other low-tolerance situations are not under the influence of alcohol. The .04%, .05%, and .08% testers detect alcohol levels over the legal limits prescribed by state legislation. Consult your state regulations for the appropriate tester levels. Using BreathScanï¿½ is as easy as 1-2-3. Wait 15 minutes after ingesting alcohol. Open the package and remove the BreathScanï¿½ tube. Squeeze the middle of the plastic tube between your thumb and forefinger to break the inner glass ampule containing the yellow crystals. SQUEEZE ONLY ONCE. Do not crush or bend the tube. Use the tester immediately. Take a deep breath and blow through the end of the tube designated by the arrow in one continuous breath for twelve (12) seconds. BLOW VERY HARD. EXHALE THROUGH THE TUBE - DO NOT INHALE. Next, shake the tester to evenly distribute the crystals. Wait two (2) minutes. Identify any color change amongst a majority of the crystals. The crystals in the .02% tester will become white or ash-colored if the alcohol level exceeds .02%. 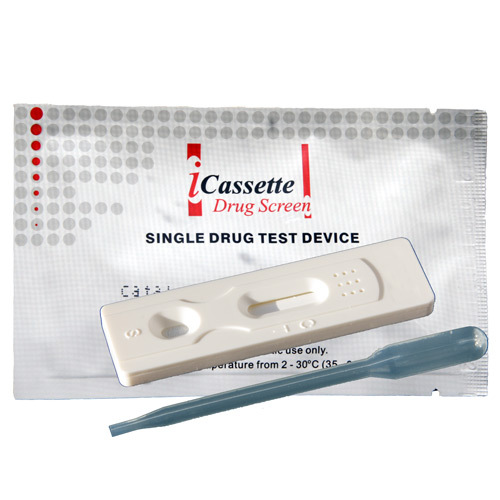 The .02% tester is designed to detect trace levels of alcohol, and therefore does not report intermediate levels of alcohol. The crystals in the testers measuring .04% or higher will turn a greenish hue at an intermediate level of alcohol. In other words, a greenish cast indicates the presence of alcohol, but not in excess of the degree for which the tester is designed to detect. A bluish cast in the crystals indicates levels at or above that designated for the tester. 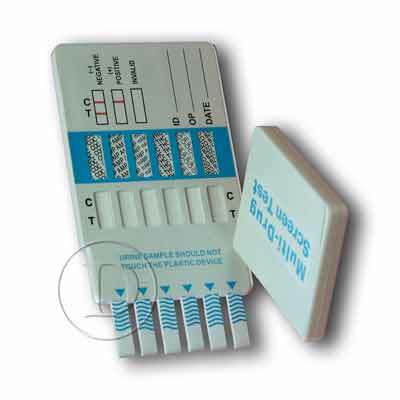 In short, a bluish cast indicates a level of alcohol at or above the indicated amount on the tester. (Remember, the .02% tester indicates the presence of ANY alcohol with white or ash-colored crystals.) For best results, compare the used BreathScanï¿½ to an unused unit. Breathscanï¿½ has been proven accurate and reliable by the U.S. Department of Transportation, National Highway Traffic Safety Administration, Denver Police Department, and Drug Control Teaching Center at King's College, London. Breathscanï¿½ at the .08% or .10% level is ideal to avoid a drunk driving arrest. Every state has established criminal penalties when a motorist's BAC level is either 0.08% or 0.1%. Breathscanï¿½ is an ideal item to have in the glove compartment of your car. Breathscanï¿½ offers assurances at times when you need to make an important decision that will effect you for the rest of your life. Breathscanï¿½ at the 0.04% level is excellent for truck drivers and motorists with CDL's. Many states imposed driver's license sanctions when the BAC levels exceeds 0.04%. Breathscanï¿½ at the 0.02% level has two uses. First, Breathscanï¿½ is an inexpensive way to test for alcohol use among employees. Second, since many states have zero tolerance laws, Breathscanï¿½ can prevent minors (under age 21) from losing their driving privileges if their BAC is above 0.02%. Don't risk losing your life and driving privileges. NOTE: This product should be used only to give an indication of the possible presence of alcohol in the blood. Do not rely upon it to determine intoxication or whether it is safe to drive a vehicle or operate equipment! NOTE! Price just reduced again. We only have limited stock at this price!